Jan is a Group Leader and Senior Scientist at the European Molecular Biology Laboratory (EMBL) Heidelberg, Germany. His main research interests is in determinants and consequences of germline and somatic genetic variation, and the relationship thereof with human disease. A particular focus of the Korbel group is on genomic structural variation. After receiving his PhD in 2005 from Humboldt University of Berlin, he performed his postdoctoral research at Yale University, New Haven, USA. Jan Korbel is an editorial board member for the journal Cell. Additionally, he is on the editorial board of Genome Research, as well as on the Advisory Editorial Board of Molecular Systems Biology. He has been awarded both a Starting Grant as well as a Consolidator Grant by the European Research Council (ERC). Since 2016, he is an elected member of the European Molecular Biology Organization (EMBO). He is also a member of the German National Academy of Sciences, Leopoldina (2015). Jan Korbel was recently received the 2018 Pezcoller Foundation–EACR Cancer Researcher Award. Tania studies M.Sc. Molecular Biotechnology and St. Ex. Human Medicine as a double degree at Heidelberg University. She joined the group in October 2018 to complete a Masters-internship followed by working on her Dr. med. thesis project from January 2019. She will be joining the team working on single cell analysis for structural variations. Theocharis studied Biological Applications and Technologies at the University Ioannina, Greece. Currently, he is a PhD student belonging mainly to the experimental part of the lab. He studies the network of DNA damage response and how it can be reprogrammed within cancer cells in order to support the increased genomic instability. Busra is a MMPU PhD student at the Molecular Pediatric Oncology Group of Prof. Andreas Kulozik and Jan Korbel and performing her research at EMBL and the Heidelberg University Hospital. Before joining the Korbel group as a PhD student in February 2017, Karen did her BSc (Hons) in Genetics at the University College in Dublin. Nina is holding a PhD in cancer prevention from the University of Jena . She joined the Korbel group in 2015 after a postdoc at the Division of Preventive Oncology of the German Cancer Research Center (DKFZ). Now she is supporting Jan Korbel and the group as a project officer. 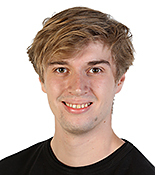 Before joining the Korbel group Patrick has been working at the National Center of Tumor Diseases (NCT) Heidelberg in the group robotics/new technologies on robotics and single-cell sequencing. He has a degree as a biotechnician and a certificate as an assistant for bioinformatics and will now support the Strand-seq research in the Korbel group. Holding a bachelor in Integrated Life Sciences, Wolfram did his Master in Computational Neuroscience at the Bernstein Center for Computational Neuroscience, Berlin and his Master Thesis with Alex Bateman’s group at EMBL-EBI. Being comfortable in the fields of biology – mathematics – informatics, he will strengthen the computational power in the group. Sergei is a software engineer and cloud computing expert at the Korbel group since 2014. Sergei leads the technical efforts around constructing a germline variation call set in 2800 cancer patients in the context of the Pan-Cancer Analysis of Whole Genomes (PCAWG) Initiative using cloud technology. Previously he worked as a cloud architect at the Ontario Institute for Cancer Research (OICR) in Toronto, and as a senior software development manager focussing on cloud computing at Amazon.com Inc..
Hyobin joined Korbel group in December 2017 as a postdoc in computational biology and is working now in the Strand-seq team. Her research interest is the cell-type dependent impact of human genomic structural variation on the gene regulation and disease. She studied Systems biology approaches of Alzheimer’s disease and cancer for her Ph.D. project in POSTECH, Korea. Hyobin is a fellow of the Humboldt foundation. Esa is an EIPOD postdoctoral fellow (with the Stegle group) working on machine learning methods and models for genomics data. He has a PhD in computer science from the University of Helsinki. Benjamin did his Diploma (MSc.) in microbiology and molecular genetics at the Ruhr-University Bochum. He joined the group in 2011. He is the group’s research technician and taking care of all matters of the wet lab. Right now, he is mainly producing single-cell/single-strand libraries. 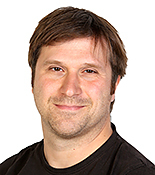 Tobias joined EMBL in 2009 and he is a shared Bioinformatician with the EMBL Genomics Core Facility. He is working on structural variant calling algorithms (Delly), quality control methods for next-generation sequencing data sets (Alfred), and pipelines to analyze large-scale biological experiments that involve next-generation sequencing. Ashley joined the Korbel group as a postdoctoral fellow in October 2016 and focussing her research on single-cell sequencing. She did her PhD at the University of British Columbia, Vancouver, Canada. Ashley is a fellow of the Humboldt foundation. Daniel Schraivogel is an EIPOD between the Steinmetz and Korbel labs, developing novel technologies for high-throughput functional genomics. This will help to better understand how genome features are connected to phenotypes. He is a wetlab scientist with a PhD in biochemistry from MPI Biochemistry/Regensburg University. Mike’s previous work at the CRUK Cambridge Institute focused on understanding the properties of the raw data produced by microarrays and next-generation sequencing. Identifying and interpreting instances where errors can occur in with these technologies is an important step in ensuring correct biological conclusions can be drawn from an experiment. Mike is a shared Bioinformatician between the Korbel group, the Huber group, and the Zeller team and is involved in a number of software projects, primarily rooted in the R programming language. Maja studied Molecular Biosciences with a major in Cancer Biology at Heidelberg University and DKFZ. She is doing her PhD with the Korbel group and will have a focus on Strand-seq. Sebastian is a postdoctoral research fellow since March 2014. He holds a PhD in Biotechnology and Bioengineering from the École Polytechnique Fédérale de Lausanne and his research is supported by fellowships from the Swiss National Science Foundation and the European Molecular Biology Organisation. His main research interests are at the intersection between systems genetics and cancer genomics. Gabriel is a Bachelor’s student from the Federal University of Rio de Janeiro, finishing his studies in Genetics with a background in Cancer Biology. He joined the Korbel Lab in December of 2017 and together with Ashley, he is developing faster Strand-Seq library preparation methodologies and studying the impact of BrdU in genomic integrity, using Strand-Seq as a tool to detect genomic lesions caused by the thymidine analogue. Alex will perform her master thesis with the Korbel group. She is a student of Bioinformatics and Systems Biology from the University of Amsterdam and will work on single cell analysis of structural variations together with Ashley. 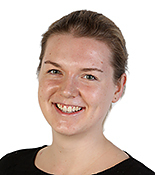 Ianthe is a student from the University of Utrecht who is at EMBL for her second research internship as part of the Molecular Cellular Life Sciences master. She will work together with Tobias and Busra on elucidating the regulatory landscape of T-ALL by analysis of ATAC-seq data. Fruzsina is a legal scientist with ample expertise in investigating the challenges of different regulatory approaches to new technologies at the regional and international level. She previously participated in several initiatives considering genetics and translational research impacting self-regulatory approaches in life sciences, and has significantly contributed to the development of codes of conduct on whole human genome analysis in Germany and at the international level. Her current research considers data protection in Europe and around the world, data sharing against the backdrop of intellectual property rights, and the legal analysis of cloud computing in life science research. Fruzsina is based at the Heidelberg Academy of Sciences and Humanities. Joachim is a physician scientist who is, besides his main job as a senior physician treating children with cancer, coordinating the research on T-lymphoblastic leukemia that is done by the “Molecular Pediatric Oncology” group (Molecular Medicine Partnership Unit).